Geoffrey believes strongly in the value to clients of the audit function and is strongly committed, both personally and with his audit team, to provide value to clients by way of extensive feedback and advice in respect of key systems and their controls so as to strengthen the business of the client company. 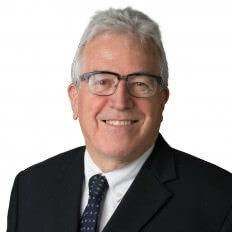 Geoff has had over 30 years’ experience as a chartered accountant, both in audit and in business services. He studied and worked in the UK for a number of years where he gained invaluable audit and commercial experience. He is on the National Audit committee which oversees quality control and best practice implementation across the network group of Hall Chadwick. He oversees all audit training and development of good audit practice within the Brisbane office with an emphasis on meeting client deadlines, value adding through excellence in reporting to clients and ensuring that all audit personnel fully understand the business of the client.